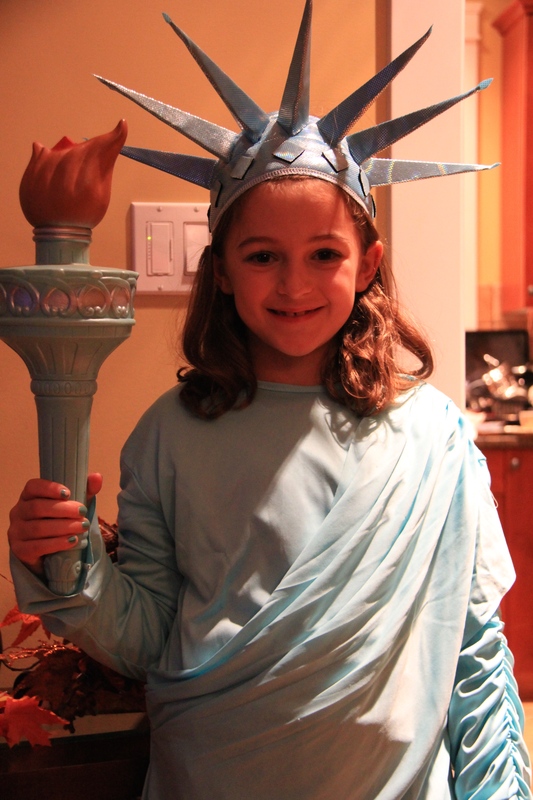 Last summer I went t0 New York and I really wanted to be the Statue of Liberty for Halloween. I bought it online with my Dad.I didn’t get the book (the law book) but that’s ok because I did get the torch. My friend Haven was a girl for halloween and that was funny because so was my brother! My other friend Maia was a werewolf.